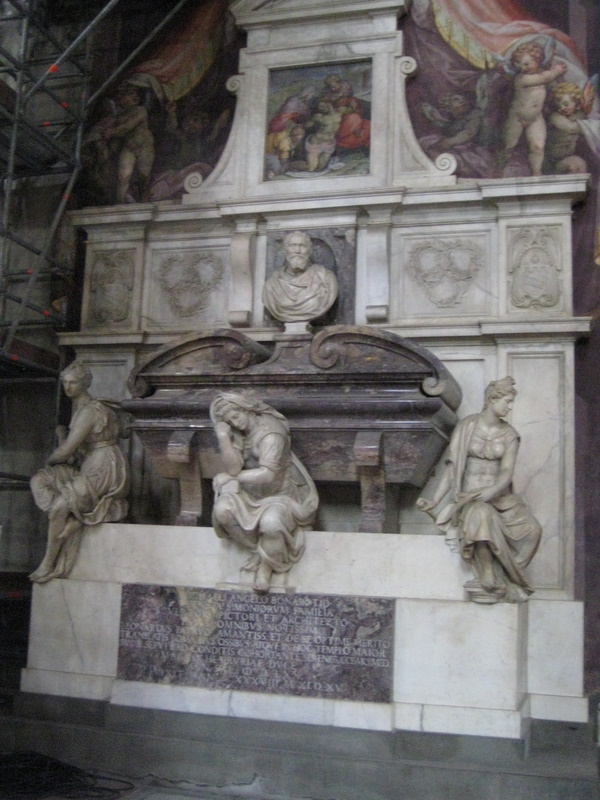 Before we left for Florence, I read an article about Galileo’s missing fingers that had been recently rediscovered. 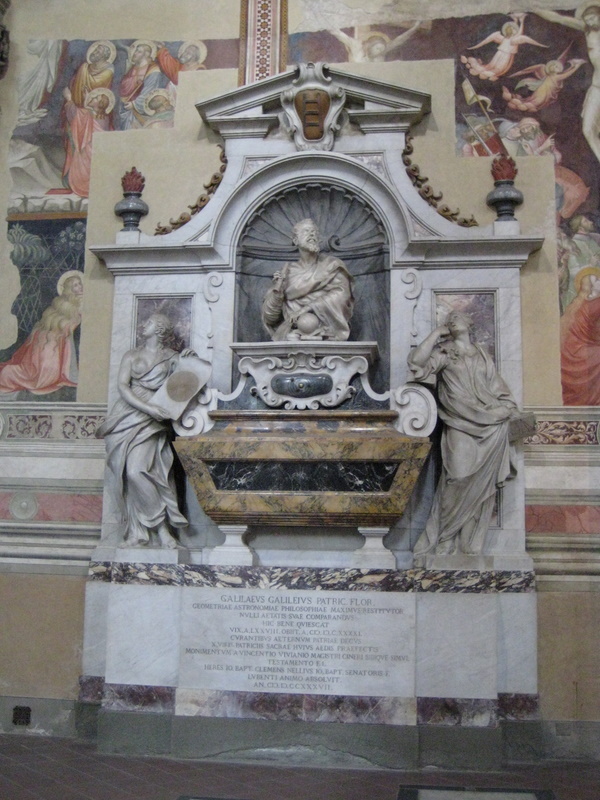 Apparently, when Galileo’s body was moved to his final resting place in the Santa Croce church, three of his fingers were cut off and stolen. 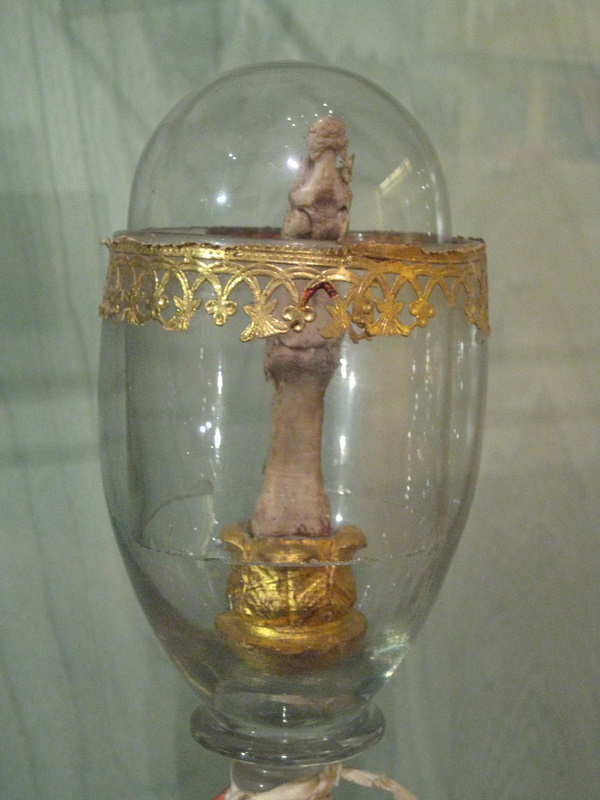 One of the fingers has been in the Science History Museum in Florence since 1927, but the other two disappeared and have been missing for almost a hundred years. 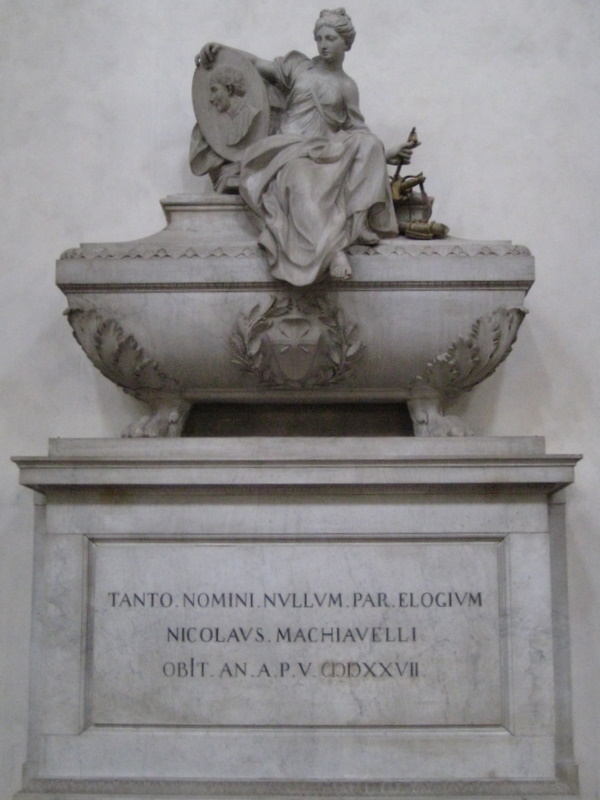 At the time I thought – I definitely have to add this to the list of things to see in Florence! The museum, as the article indicates, was to finish a renovation in March 2010, and the newly discovered fingers were to be on display. However, the renovations have yet to be completed. So I never bothered to go to the museum. And here it is! 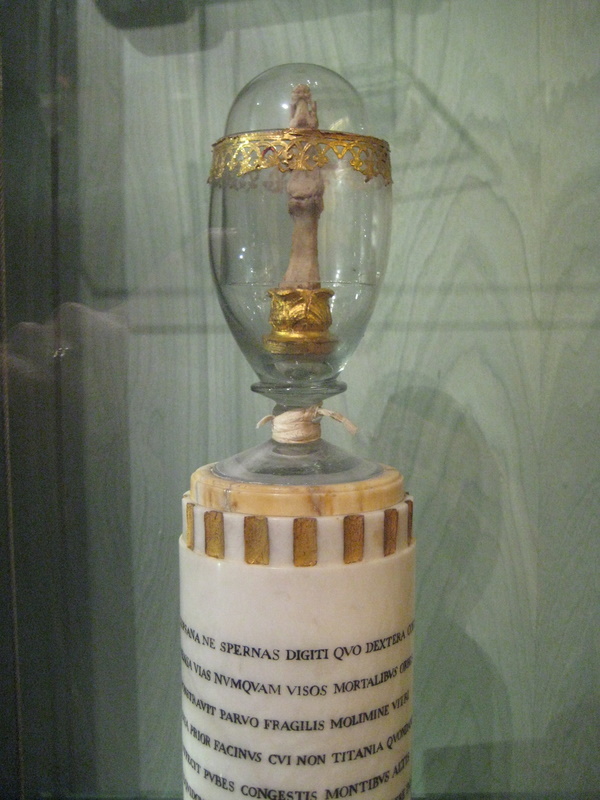 Galileo’s finger! Cool or gross? You decide! I know you were thinking – I’d like to see it even closer! 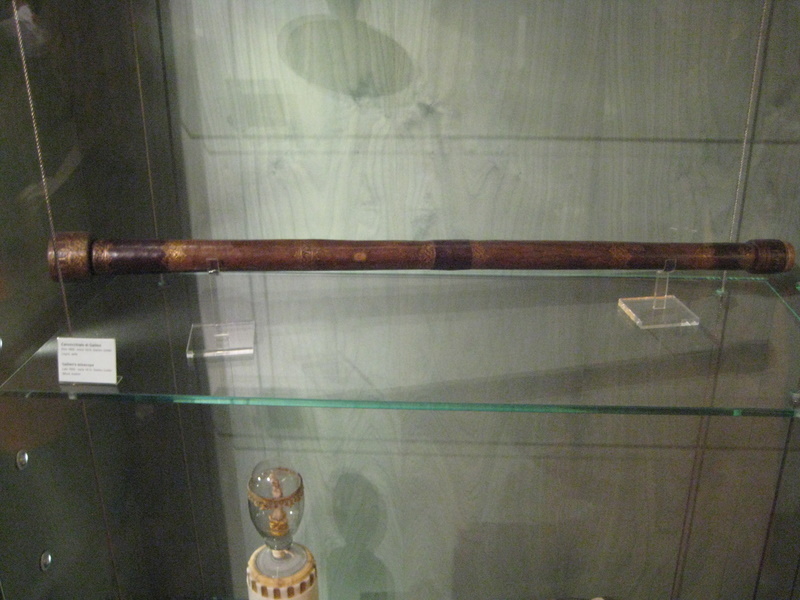 Here’s Galileo’s telescope. 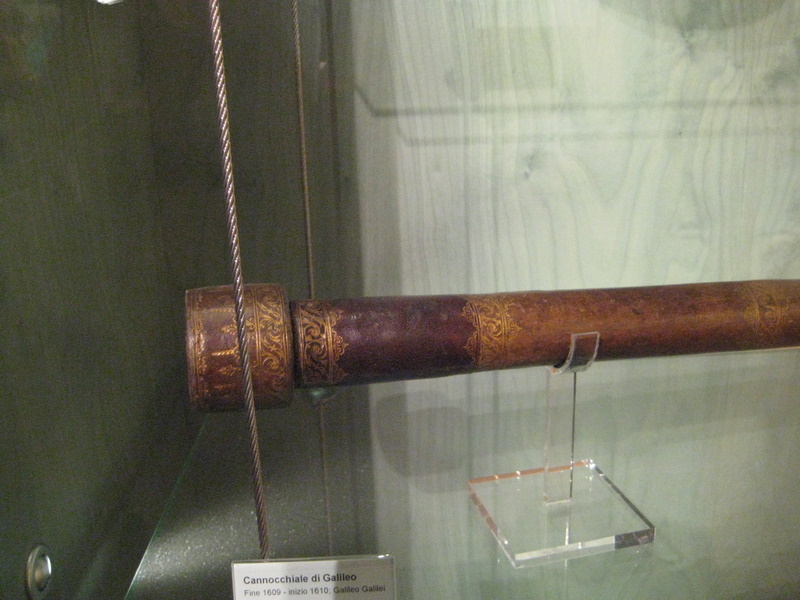 It is wrapped in leather. 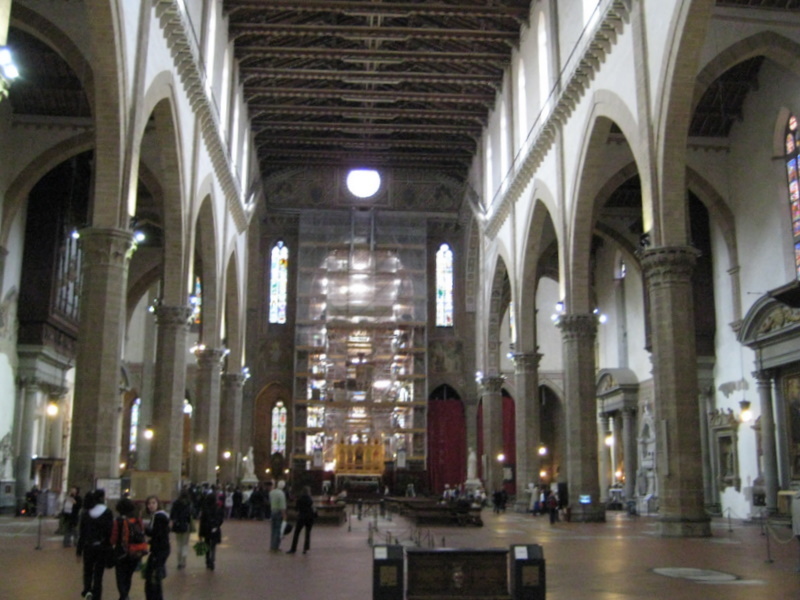 There was a lot of renovation going on inside Santa Croce – including behind the altar of the church. 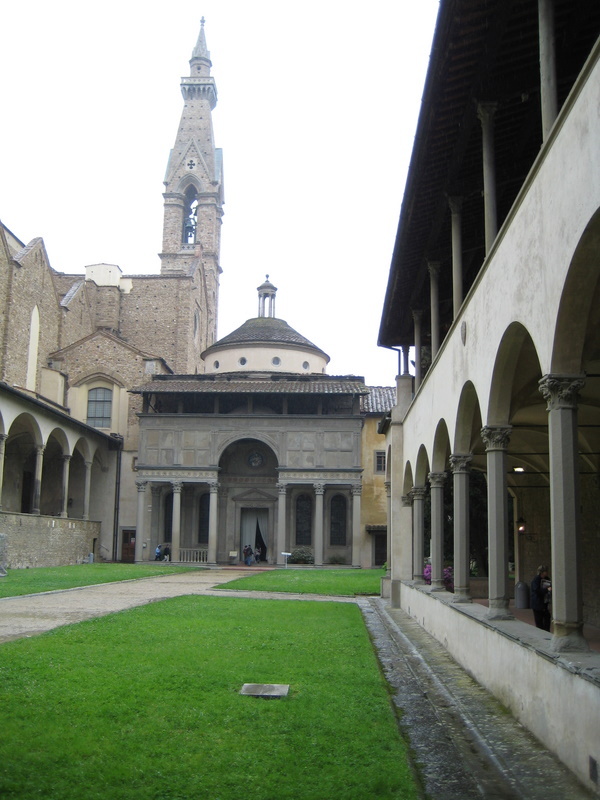 This is the Pazzi Chapel and the interior courtyard at Santa Croce. 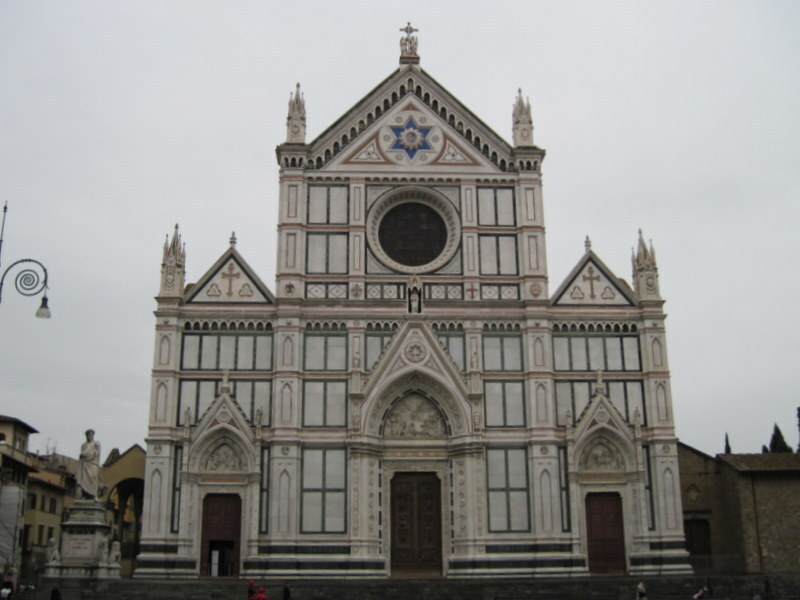 We are looking forward to our final weekend in Florence! We have to move out of our apartment in the morning. We will miss it! We are moving to a nearby hotel for our last three days, as our apartment is being rented to new tenants. Yes, we are being evicted! Hopefully, the laundry we did earlier today will be dry by the time we leave! 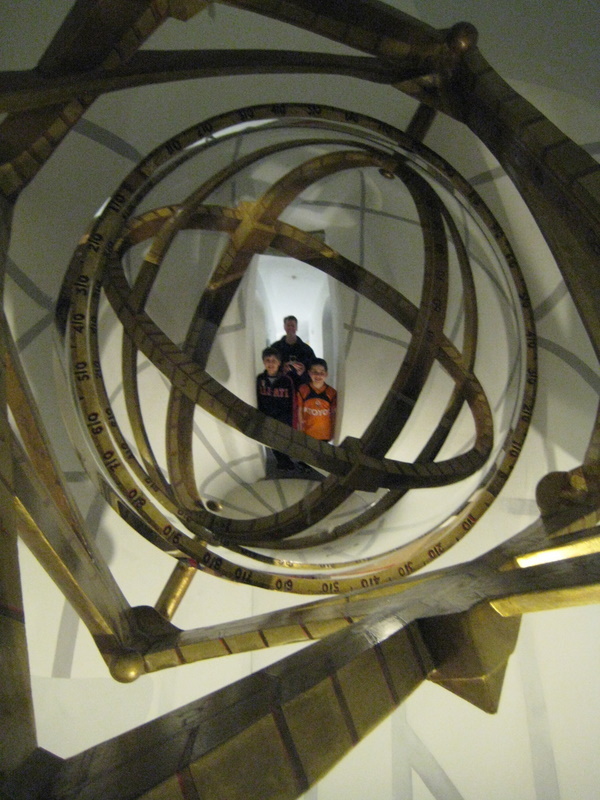 This entry was posted on April 23, 2010 at 8:16 pm and is filed under Karl's Blogs. You can follow any responses to this entry through the RSS 2.0 feed. You can leave a response, or trackback from your own site.